The Poor & Hungry is the type of movie I usually hate: shot in black and white, it's an indie movie that was filmed in the '90s and released in 2000. However, mostly because of the interesting characters and the interspersion of country music - it was filmed in Memphis - with cello music, I surprisingly did not hate this film. It's a little slow, which was a dislike, but the plot is interesting, and for the most part kept my attention. Official synopsis (nytimes.com): In this gritty independent drama, Eli (Eric Tate) is a car thief who works for Mr. Coles (John Still), the owner of a not entirely legit salvage shop. Eli has begun to have qualms about his career, and one day, after stealing a car from Amanda (Lake Latimer), an attractive young music student, he's wracked with remorse, and when he meets Amanda at an impound yard where she hoped to find her car, he offers her a ride home. A romance begins to blossom between Eli and Amanda, but as Eli tries to tear himself away from his life of crime, another woman named Harper (Lindsey Roberts) tries to draw him back in. Harper is a novice car thief herself who has a deal with Cowboy Earl (T.C. Sharpe), the owner of a seedy massage parlor, for a black-market Cadillac. However, to get the car Earl wants, Harper will have to go through Mr. Coles, and she sees Eli as the perfect go-between. 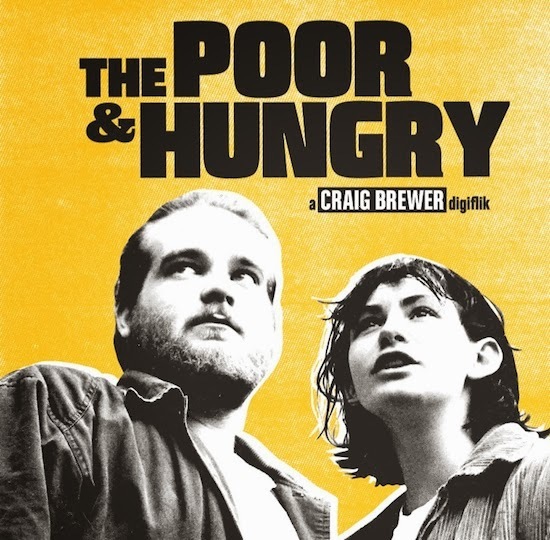 Shot on digital video equipment in Memphis, TN, The Poor and Hungry was the first feature film from writer and director Craig Brewer. One of the characters in this movie, Amanda, who Eli begins to fall in love with, is a cellist, and I really liked how some of the key scenes had cello music throughout. The entire film was shot in Memphis, and shot digitally, which was unusual for the time period; I've never been to Memphis but it was interesting to get a sense of what the city is like, through this movie. 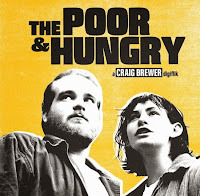 The reason that The Poor & Hungry is now being re-released is that the director, Craig Brewer, has enhanced the film and also added a "remastered Dolby 5.1 sound mix." The movie won Best Digital Feature at the Hollywood Film festival in 2000, and received rave reviews from critics, especially since it's Brewer's debut film. Since then, he's made Hustle & Flow and the recent Footloose remake, but he says that "So much love went into this movie [Poor & Hungry] ... it's the one I'm most proud of. That's why I want people to see it. Especially young filmmakers who want to make their first film." If I had to give The Poor & Hungry a rating I'd probably give it a Maybe and 3/5 stars. However, if you're a fan of black and white movies or indie films - or really just movies that tell an interesting story - you should check it out, and the best part is, Brewer is currently offering a FREE DIGITAL DOWNLOAD of the movie online. The way the two main characters meet here also reminded me a little bit of Bounce, which came out in 2000 as well, in that Eli would have never have met Amanda if he hadn't stolen her car - they end up meeting at the car impount lot, as she's staring at the husk of her car, after Eli and his crew have stripped it for parts. *Disclosure: I was given a Blu-ray copy of this film from the director for reviewing purposes. The opinions expressed here, however, are my own.